I recently had the pleasure of visiting a very different kind of ski resort to the type you typically hear about in Austria and the Alps. The #SkiAgain campaign organised by the Austrian Tourist Board sent me to Alpbach, a town repeatedly voted the prettiest in all of Austria and its not hard to see why. Just an hour or so from Innsbruck Alpbach’s beauty opens up as you drive the winding roads in to this steep valley with increasingly snow capped trees all around. 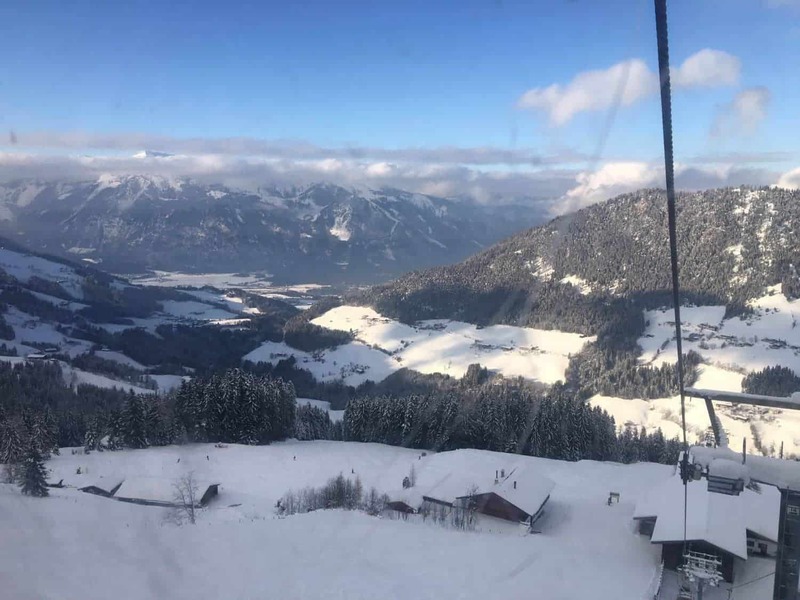 You’d be fooled in to thinking no-one knew about this hidden little town and its ski runs but rest assured, now speaking from personal experience Alpbach should be high on your list next time you’re booking a ski trip in Europe and here’s why. 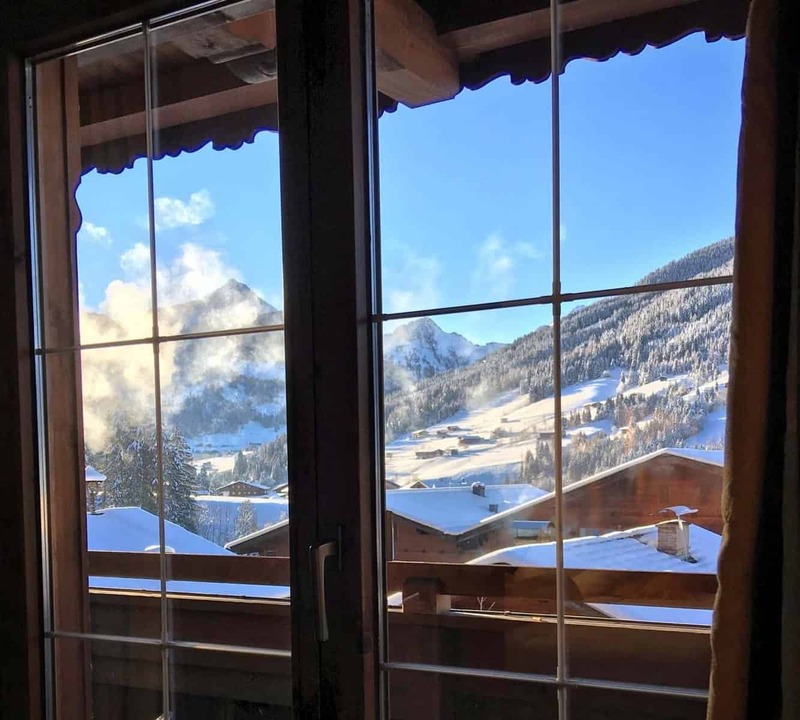 There’s a fantastic amount of ski choice right next to the town of Apbach, just a short drive or a bus ride to the Gondolas with plenty of parking and plenty of access to the slows on either side of the valley too. I loved the easy access here and felt I was out of my hotel and skiing down the mountain in next to no time. It makes skiing feel all the more accessible and that first morning trudge up the mountain much more enjoyable! 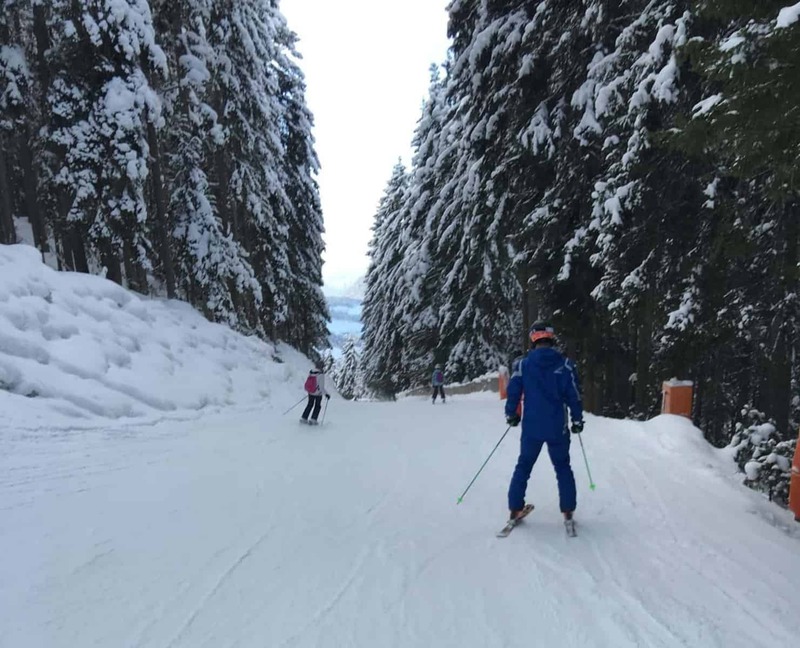 There’s 145km of pistes here mostly in the beginner and intermediate level with plenty of Gondolas, chairlifts and button lifts to get back up the slopes quickly and easily. The two peaks here take you to a height of 2,128 metres at Wiedersbergerhorn and 1,903 at Schatzberg. High enough for great skiing and epic views. While you will find a few black runs here I would class myself as an intermediate skier and these runs were by no means scary. Maybe they should be re-classified as “Red plus” as they were just as enjoyable and within my skill level as the reds were. 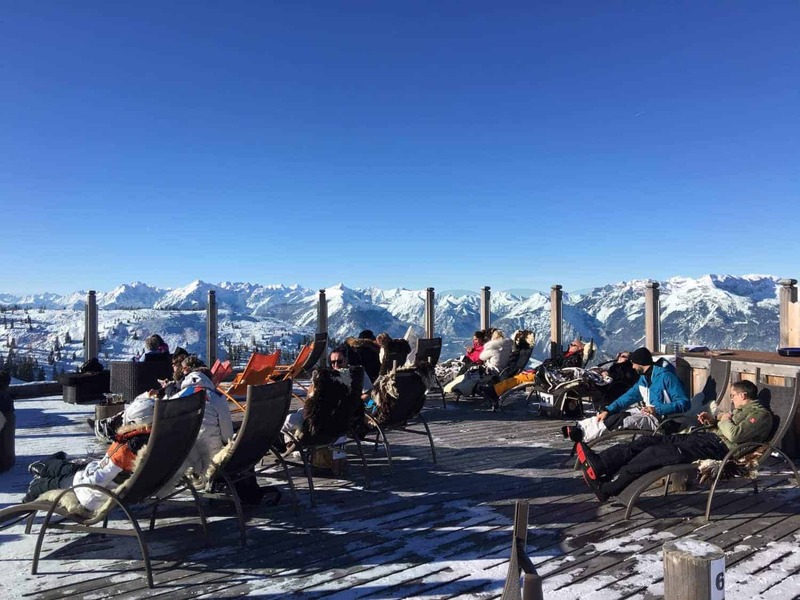 There’s some fantastic ski-schools here too and plenty of places to stop for a drink, take in the quite staggering panoramic mountain views and grab a hearty Austrian lunch too. Skiing in Alpbach really isn’t about exerting yourself too much. The runs flow nicely from one to another and you can enjoy the entire mountain from top to bottom without too much stress or strain. You can even prolong the descent with a fantastic snow-road taking you right back to base for the Gondola back up or a bus home. You can of course challenge yourself if you want and I definitely recommend ski school here for a few days to push your skills to the next level. I had a fantastic private instructor who really helped me make the most of every run here. Once you’re back at the gondola base you can also cross over to the other side of the valley via another gondola and double your ski run options instantly! This alone made Alpbach skiing a must for me as it felt like two completely different experiences, one narrow and curving, the other wide and open. 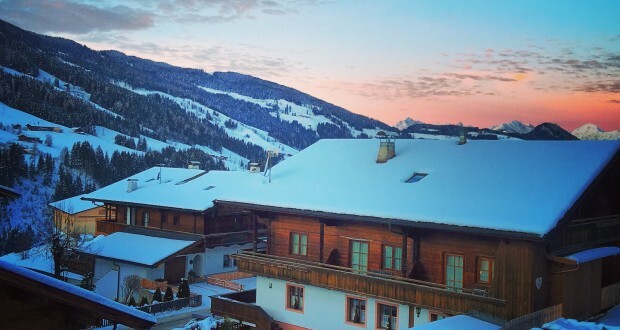 Alpbach is by no means a loud and active ski resort town and that’s exactly how it should remain too. You wont find any night clubs here, just beautiful Austrian buildings with warm and inviting hotels, cute little restaurants and the occasional Austrian pub usually filled with both tourists and locals. My favourite was the conveniently located Postalm situated above my ski hire shop. A great place for a pint straight after skiing or if you can wait until the evening, the perfect place to meet other skiers and chat with locals about this beautiful village. 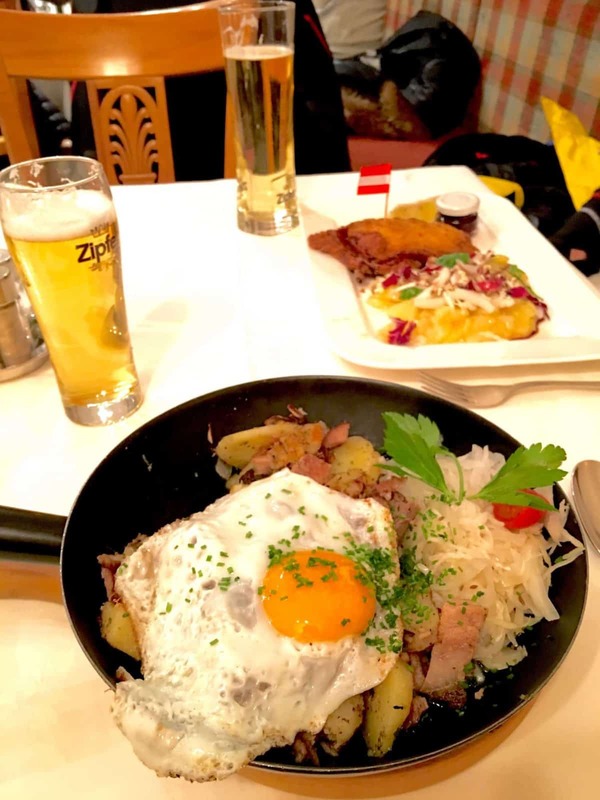 There’s plenty of restaurant options here as every hotel has a bright and warm inviting entrance bustling with excited diners and the smell of authentic Austrian cuisine luring you in. Plenty of Schnitzel on offer here as well as fantastic boards of Tyrollean meats and cheeses. My favourite was without doubt the Tiroler Gröstl. A wonderful local dish of bacon, onion and potato, plenty of seasoning and a fried egg on top! Sure to boost those energy levels for another day of skiing. 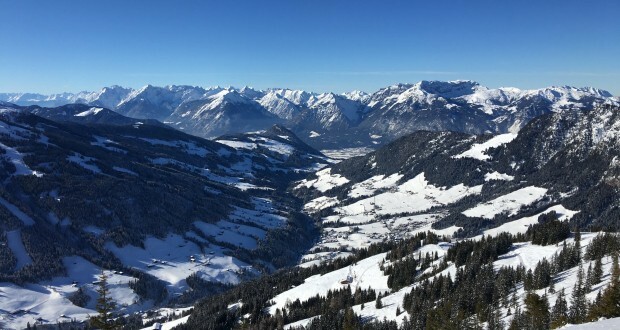 You’ll find beautiful Austrian hotels on every street in Alpbach and with numerous steep and winding roads to navigate, finding the perfect location for your daytime activities as well as night time accessibility can be key to a great experience. 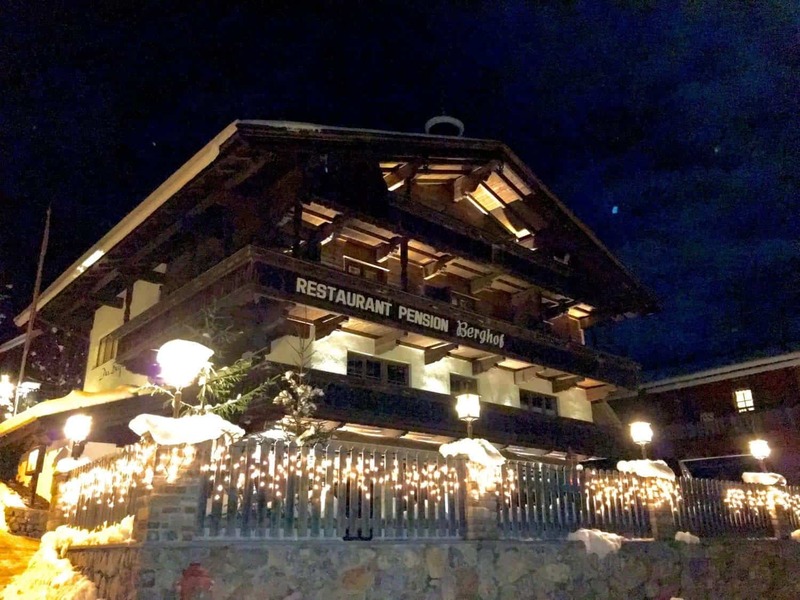 I stayed in the pretty little “Der Berghof” situated right in the centre of town, just a short walk from the ski school, ski hire and plenty of places to eat and drink. The rooms are simple Austrian style with a fantastic view of the ski slopes nearby, I spent half my time on the balcony and the other half down at the hotel bar and restaurant. You soon realise in Alpbach that this town has some very loyal fans. There’s an entire community of long term skiers here mostly from England who come every year and have been doing so for decades. I asked a number of them what made Alpbach their ski destination of choice and always the answers included words like “quiet”, “friendly” and “unspoilt”. They knew all the local gossip, the best times to ski, the best places to eat and even the local characters I should meet. They were a very welcoming bunch who, by my last night in Alpbach were inviting me out for dinner to experience more of what Alpbach had to offer. This really transformed my ski trip from simply enjoying the slopes and the pretty town to really understanding what makes Alpbach tick. While Alpbach is the quite little town priding itself on serenity there are plenty of interesting neighbours worth exploring too. 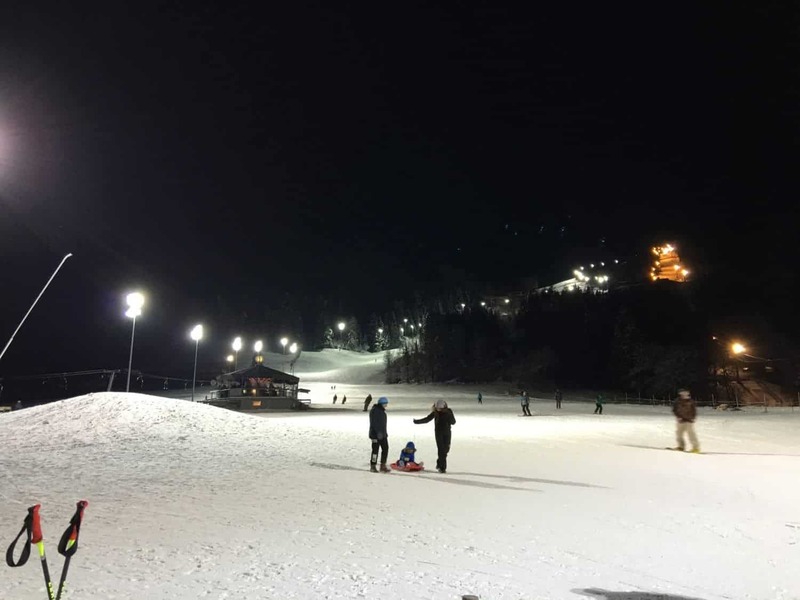 One of the highlights for me was definitely the night skiing at Reith where you can ski on two flood lit slopes, both family friendly and very enjoyable. A great way to extend your ski time and gain a new skiing perspective too. Its open every Tuesday, Thursday and Friday from 6.30 to 9.15 p.m and is very well located near to the town centre for plenty of food and drinks afterwards. There’s also a fantastic trail through the wooded farmlands on the other side of the mountain where you can hire a toboggan and take the gondola to the top before trekking and sliding your way along snow covered farm roads with just a head torch and moonlight to illuminate your path. Its an exhilarating experience and very different to skiing. Well worth the adrenalin rush! Here’s a few more choice photos from my time there. 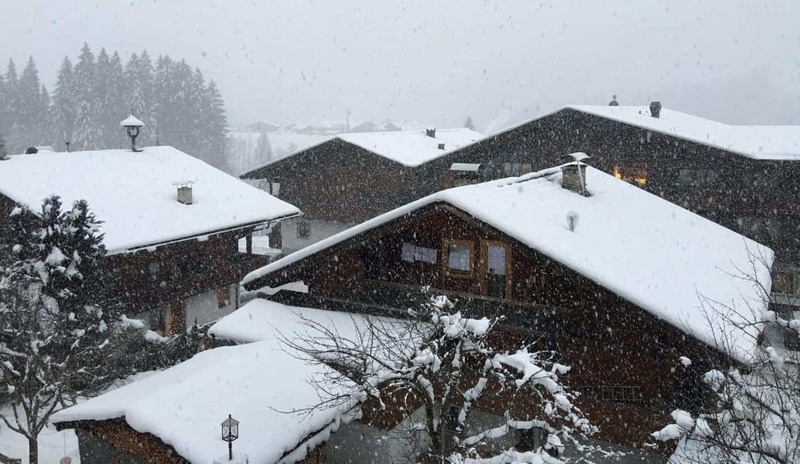 Snow fall in Alpbach, such a beautiful sight. 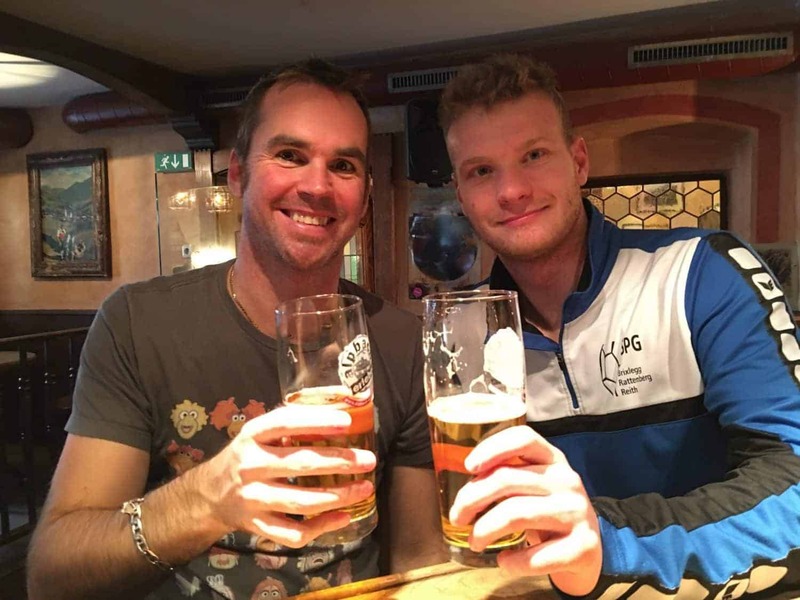 Enjoying the Apres ski with my ski school instructor. 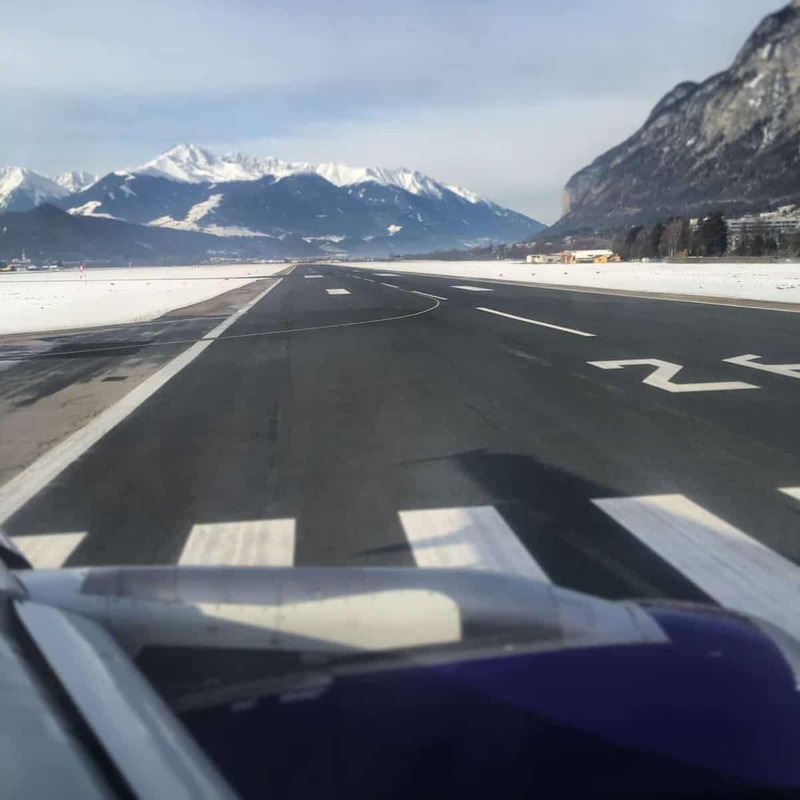 This post was brought to you as a result of the Ski Again blog trip, created and managed by Captivate in partnership with Austrian National Tourist Office. Travel With A Mate maintains full editorial control of the content published on this site.